BOS-US Valves feature a one-piece body; one-piece shaft and high-performance resilient seats made of EPDM or NBR. The uninterrupted seat design provides bi-directional shutoff to the full rating of the valve. They are available as lugged or wafer bodies, with nickel plated ductile iron, 316 stainless steel or aluminum bronze discs. 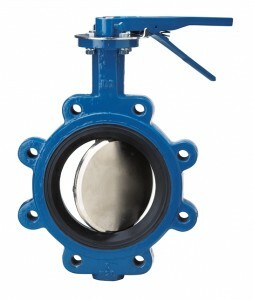 BOS-US Resilient Seated Butterfly Valves are designed to handle a wide variety of liquids and gasses. The uninterrupted seat BOS Valve is desirable for applications where extended service applications are necessary such as high cycles, high pressures and high temperatures. BOS-US valves are excellent choices for continuous modulating control, dead-end service to 250 psi, and vacuum service to 24″ Hg.